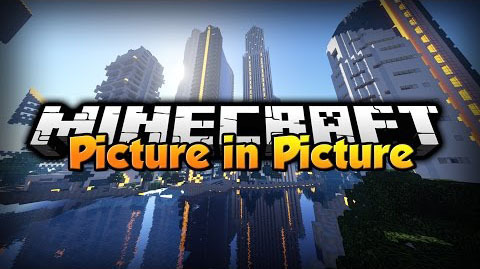 Picture in Picture Mod is an awesome mod of Minecraft that allows players to have a different vision in the game. Its various features are listed below. 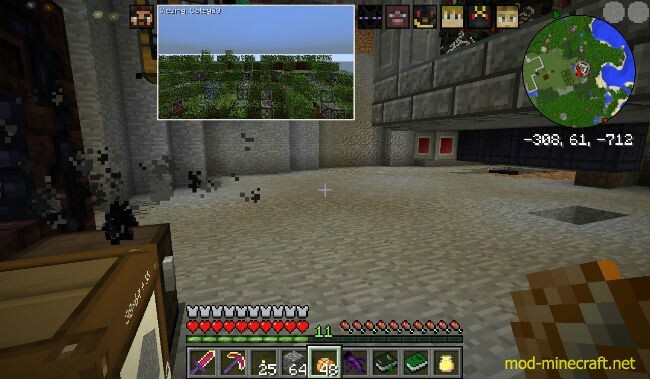 Renders other player’s Point of Views in a “Picture-in-Picture” style on the Minecraft screen when no GUI is open. Renders can be toggled on and off in-game! You can selectively show only one person’s PoV by scrolling your mouse while holding the toggle key while toggling it on (indicated by the white border, hit the toggle key again to disable). You can toggle first person/third person states by hitting the middle mouse button on a selected PoV (the white border!). Yeah, you can do a full 360 view of yourself! Config options to adjust size, update frequency (to decrease lag), orientation, positions, etc! Potential crash with bspkrs’ Core with rendering player/mob on the main menu. Disabling it in their config file fixes it for now. Potential exploitation of this mod (since it’s 100% client-side and allows watching other people without their consent). Because of how the mod is purely client-side, the limit of tracking other players is bound to Minecraft’s max tracking distance of other players, so no, this does not work across dimensions or long distances.